Our trip to San Antonio would not have been complete without visiting the incredible San Antonio Zoo. 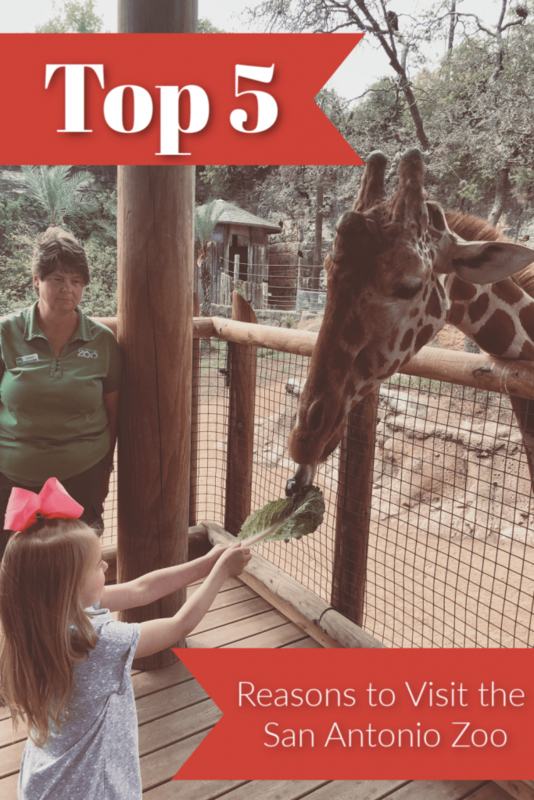 Read our review and top 5 reasons to visit the San Antonio Zoo below. Disclosure: We were provided tickets to the zoo. All opinions are my own. As a biologist, I always want to be around animals. I love zoos and aquariums and I know from experience working with zoologists and marine biologists that they truly care for these animals and want only the best for them. The San Antonio Zoo is no different in its drive to collaborate, research and conserve species worldwide. 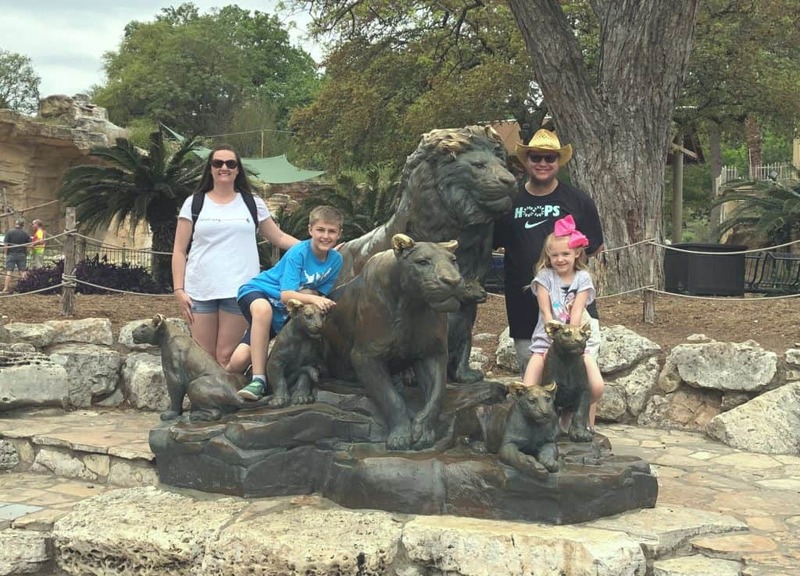 I was elated to spend a day at the San Antonio Zoo with our family when we went on our big Texas roadtrip. 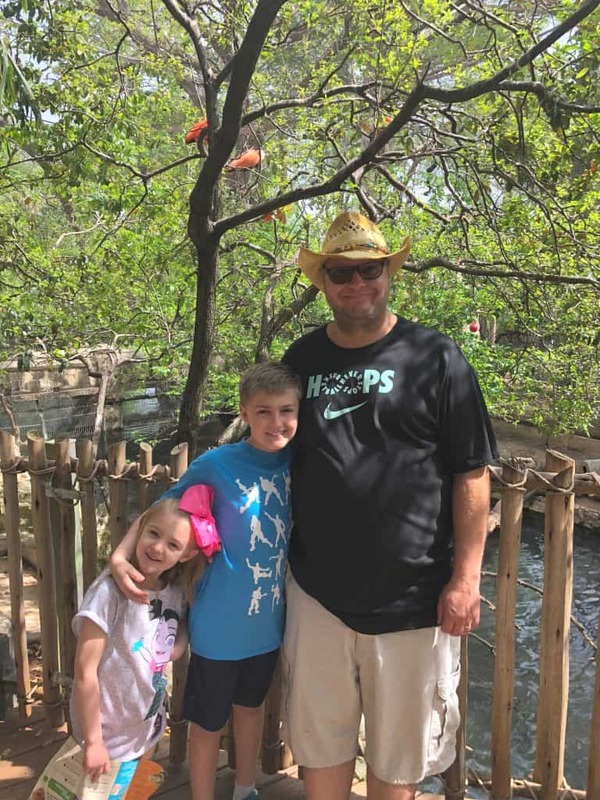 When we were planning our trip, I put the zoo down immediately and was super excited when they offered up a day of fun for our family. Arriving at the zoo was very smooth. Parking was a breeze and it was a brief walk up to the zoo entrance. Walking into the zoo my kids remarked that they felt so close to the animals. I agree. 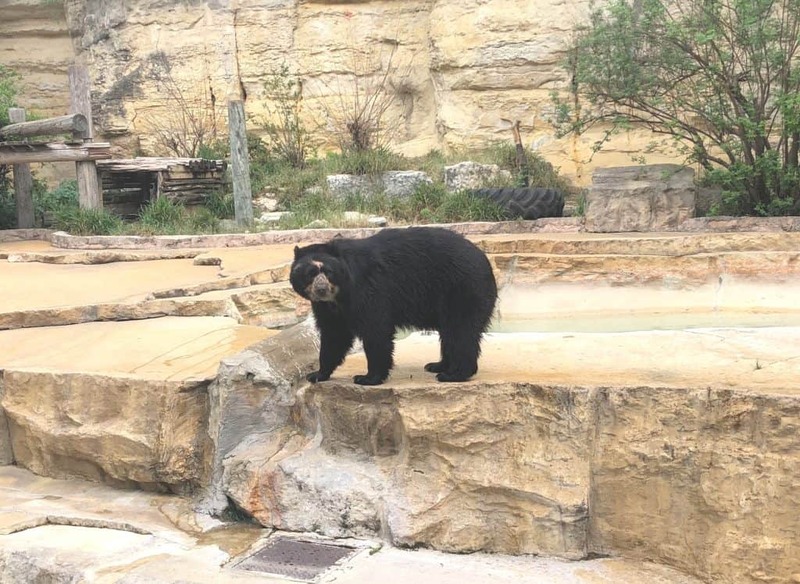 Maybe it is because Colorado has crazy weather or maybe it is because I really only have time to get to our zoo in Denver when the weather is super hot, but the animals in San Antonio were so active, so close, so enveloping. That is the first thing that we noticed. The zoo was just open, welcoming, but at the same time, you were enveloped in the space, in the foliage and it was almost as though the animals were welcoming us into their home. The animal enclosures were built with enrichment and comfort in mind. Everywhere we went, the animals looked like they were just living their best lives. In addition, they were beautiful and as natural as San Antonio Zoo could create. Walking through the zoo it was easy to see how much work went into the spaces for the animals. There were beaches, rocky shores, deserts and lush wooded areas. 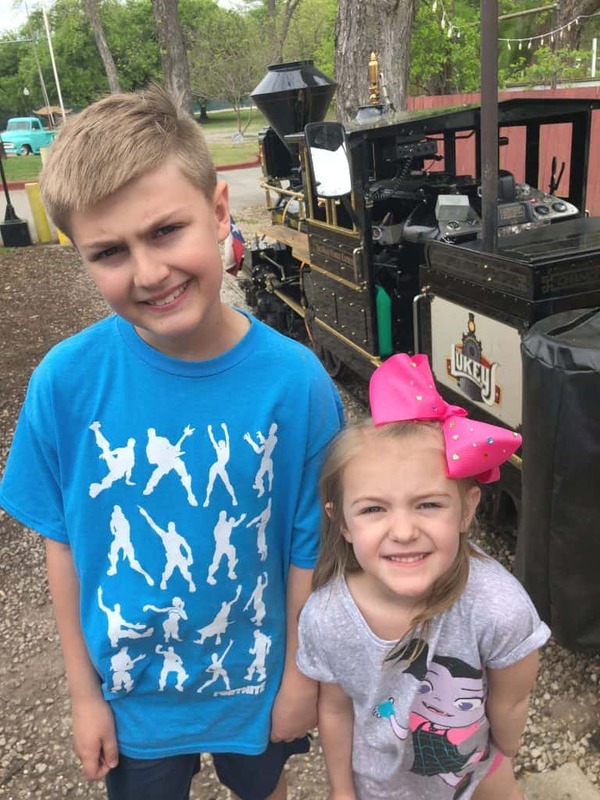 We made a lot of friends while we were camping at the KOA and each day we came back to camp from our adventures out, the families around us would come over and ask about what our day entailed and recommendations. The day we came back from the zoo, my kids were rattling about 20000 reasons that they loved the San Antonio Zoo. 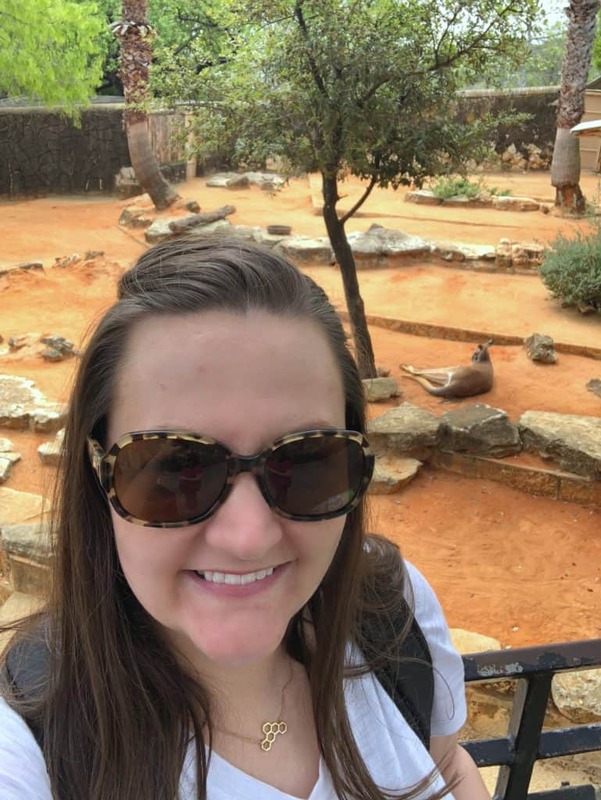 I narrowed it down to the top 5 reasons that you need to visit the San Antonio Zoo! The San Antonio Zoo has many areas where visitors can get up close and personal with the animals. From aviaries to giraffe feedings to many behind the scenes tours and experiences. 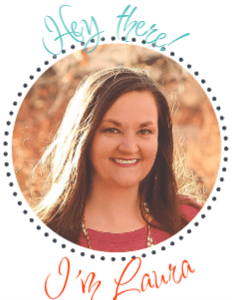 We were elated to get up close with the animals and although we did not think to book a behind the scenes tour, we were able to check out a few other things. 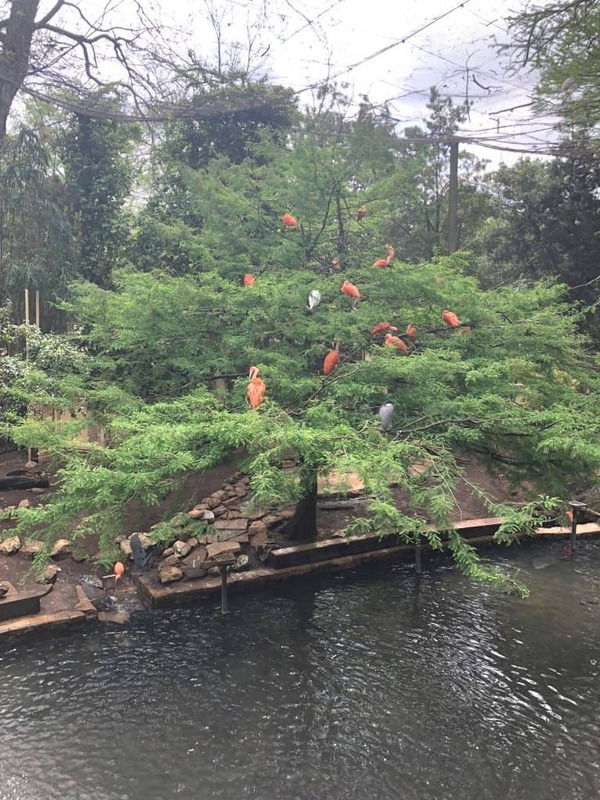 The San Antonio Zoo has Lory Landing which is an Australian rainforest environment that visitors can go in and feed many different bird species. In addition there is a large river area called Amazonia that has many animal species and the option to purchase food and feed some birds and fish in the water around you. Walking into the space we were immediately transformed and honestly, it was amazing. The birds were all over in the trees. The water was full of many species of fish and duck and geese and more. It was beautiful and wonderful and you bet we fed those animals! We also had to feed the giraffes. I have fed giraffes before and been even closer than this, but it never gets old. Watching the big guys as you walk up, seeing them check you out (mainly they are watching their yummy leaves) and handing off their food with those big tongues coming out at you is so much fun! Our littlest was on cloud 9 and honestly it was the highlight of their day. Everywhere we go people ask where we are from. When we respond, Colorado, they tell us how beautiful it is there. Well, I don’t disagree, but I will tell you that from the moment I stepped foot into the San Antonio Zoo, I felt like I was in a mini paradise. It really is such a beautiful place and I love how well they created spaces for their animals and their visitors. There was no shortage of trees, flowers, and more and it was just incredible. We felt transported, relaxed, and close to nature. You knew you were in a zoo, but it wasn’t laid out like the typical zoo. There were little areas for people to sit, relax, watch the animals, or just check out the amazing scenery around them. 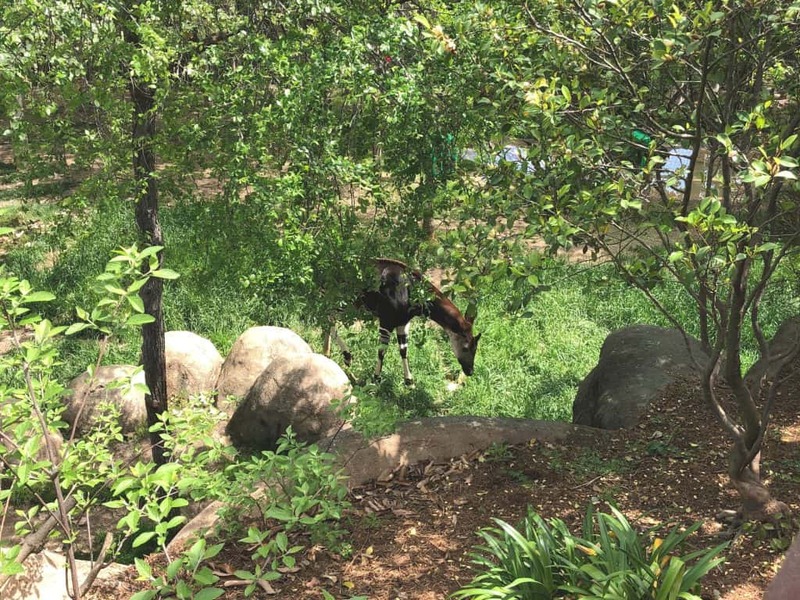 At one point we were at a little area eating lunch and I looked over the rail and saw my favorite animal the Okapi snacking right below us. It was just surreal, gorgeous and wonderful. If you know nothing about biology, you need to know that we as humans NEED all species on Earth and that ALL species have an important role in our ecosystems. 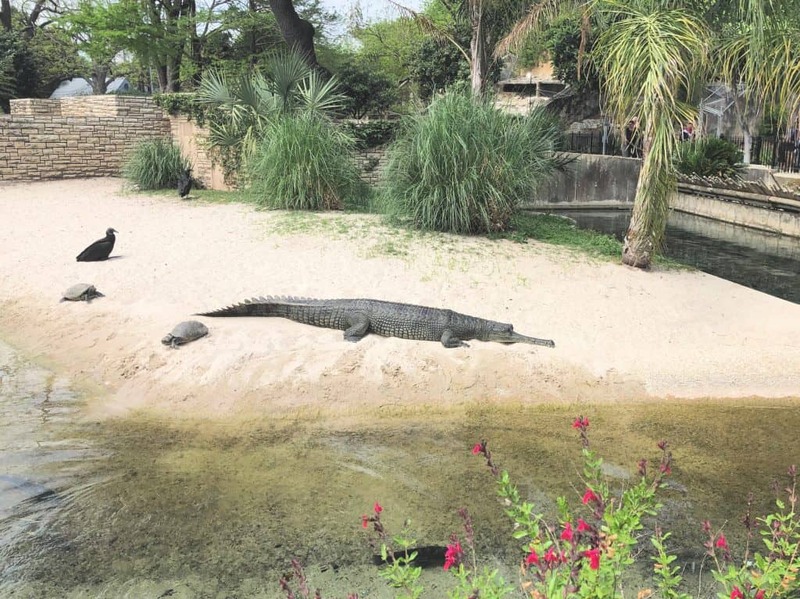 The San Antonio Zoo is leading the focus on conservation and threatened species and ecosystems. They work locally, nationally and worldwide to help organisms and ecosystems all over to maintain our much needed biodiversity. I loved walking through the zoo, learning about the various vulnerable, threatened and even endangered species. 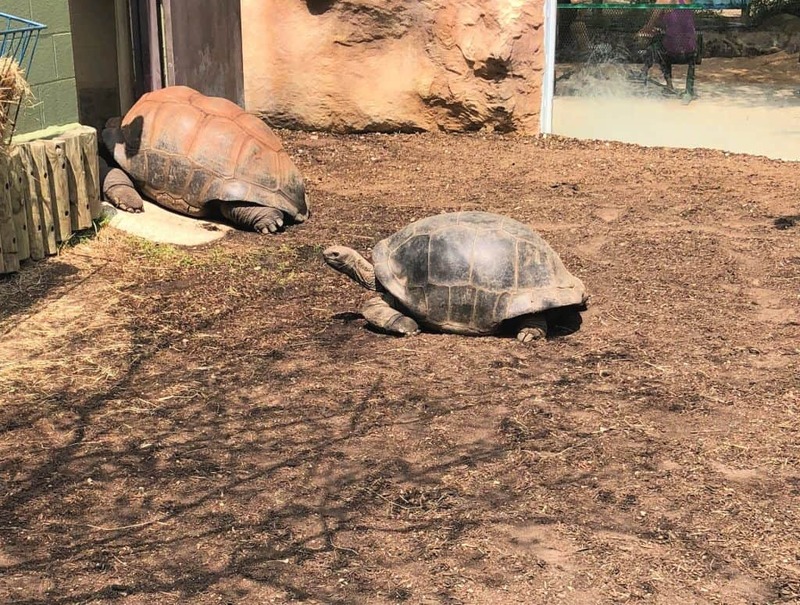 These Aldabra Giant Tortoises were my absolute favorite and a species that I absolutely needed to see. They are beautiful but they are the last of their kind located near the Indian Ocean and they are losing their habitats due to humans, invasive species and climate change. We met so many people who were annual passholders that not only came to see the animals, but came for the entertainment and experiences and play areas that were so well kept and nice. 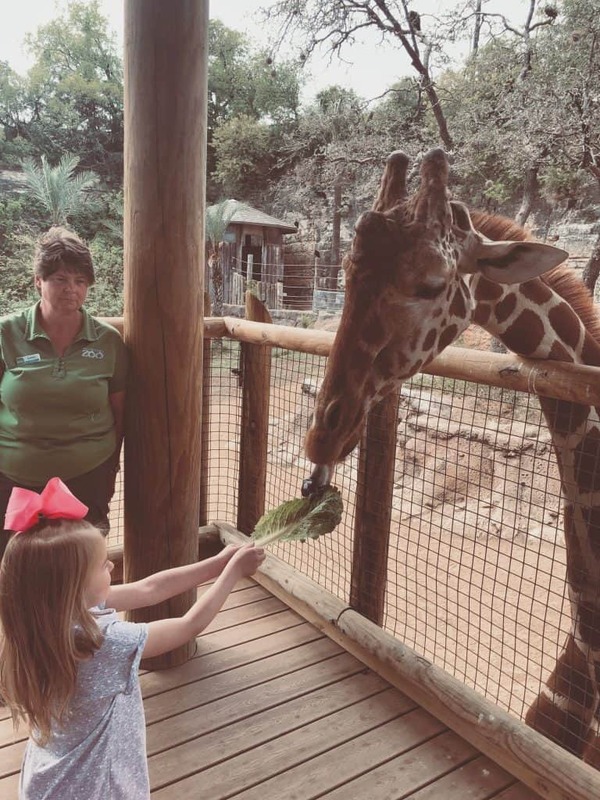 From the Fun Farm Petting Zoo to the carousel, education center and the awesome train, there is so much to see and do at the San Antonio Zoo. We took a ride on the beautiful carousel and took the train around the grounds. I loved the carousel. It had a great variety of animals on it and was just that classic carousel that you love to see in parks. The train was probably the highlight of the trip for my little guy. We road right behind the engine and toured the park around the zoo. It was so lush and pretty and it had stops for visitors to check out other places in and around the zoo. Very cool! The biggest draw for us to the San Antonio Zoo was that it was family friendly. 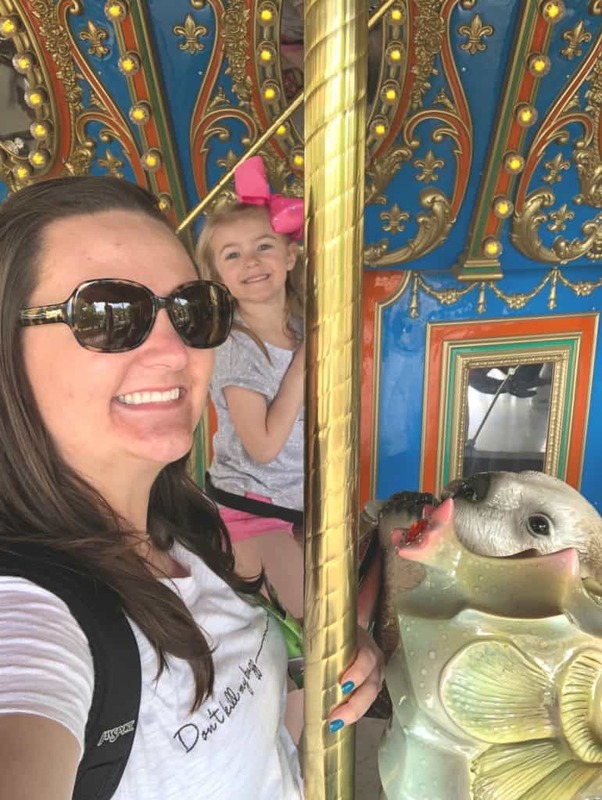 Traveling anywhere as a family, we are always looking at ways for our family to experience life together, to make those memories and to learn together. The San Antonio Zoo delivered that family fun and learning experience that we were looking for and more! 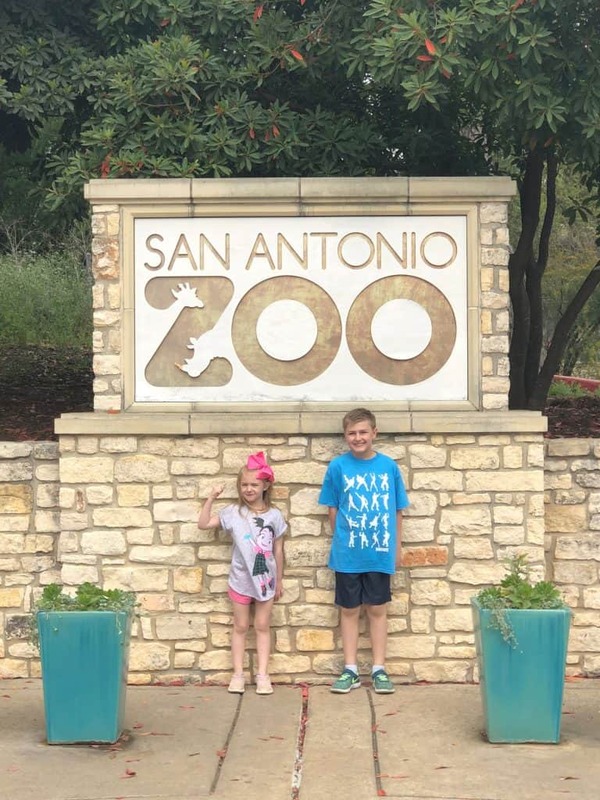 We are so thankful for our time at the San Antonio Zoo and encourage others to make this a definite stop on their journey through San Antonio. It is an experience my family won’t soon forget. For tickets, behind the scenes tours and more information on the San Antonio Zoo conservation efforts, check them out online. Previous Post: « Missing Link Out Now!